Corby Leith '92 and I were talking Thursday morning in Slocumb, reviewing some of the charcoal work of this fall’s art students, some of the framed work in racks that had been in a summer show, and then he checked his schedule and realized he was supposed to be in the forge teaching. 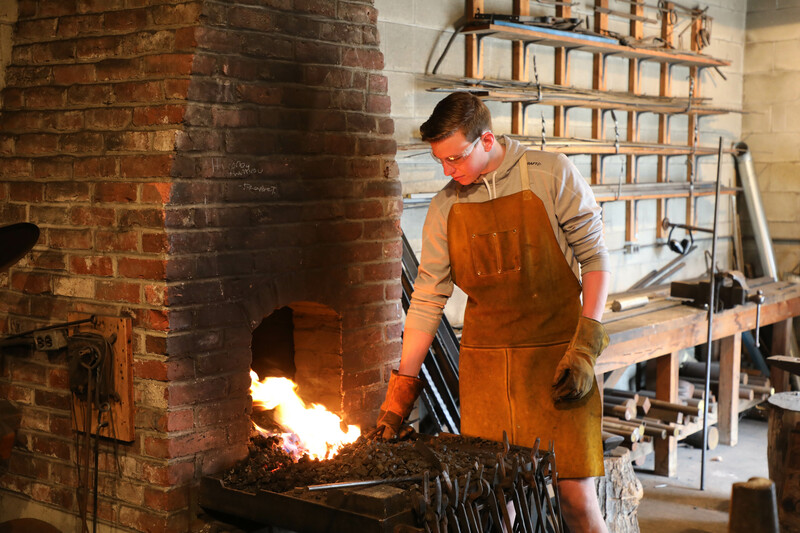 We scooted out through the ceramics studio and headed around to the backside of the Shepard Boat House to the shuttered door of the forge. I thought I would tag along to see how the class unfolded. You can learn a lot from a pickle. 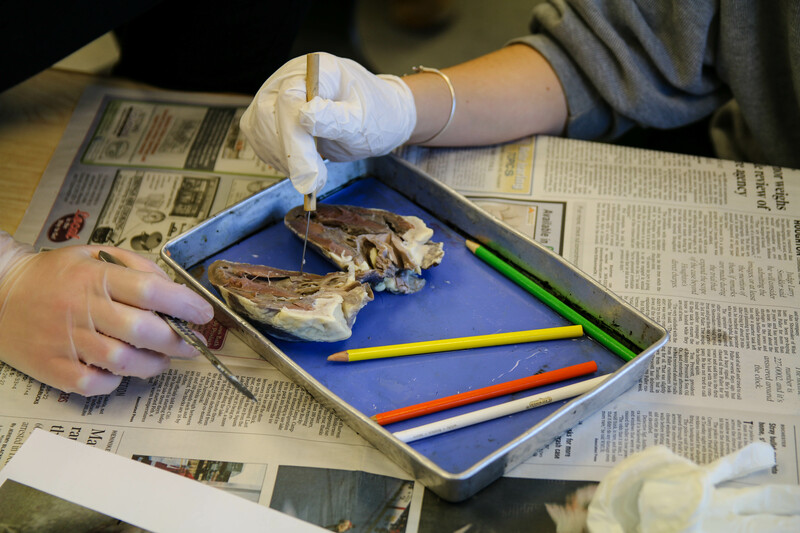 Ask Mihaela, who, after performing an autopsy on Big Dill with her lab partner, Caleb, was able to identify the sternal, thoracic, and pelvic regions on the ventral side. Watch Rowan and Tyson use surgical tools (scalpel, teasing needles, blunt probe, and dissecting scissors) to successfully perform a sagittal cut, attempt to identify the cause of pickle death, and eventually, suture the abdominopelvic region and repair the cranial head wound. It’s all in a day’s work for a Proctor Anatomy and Physiology student. 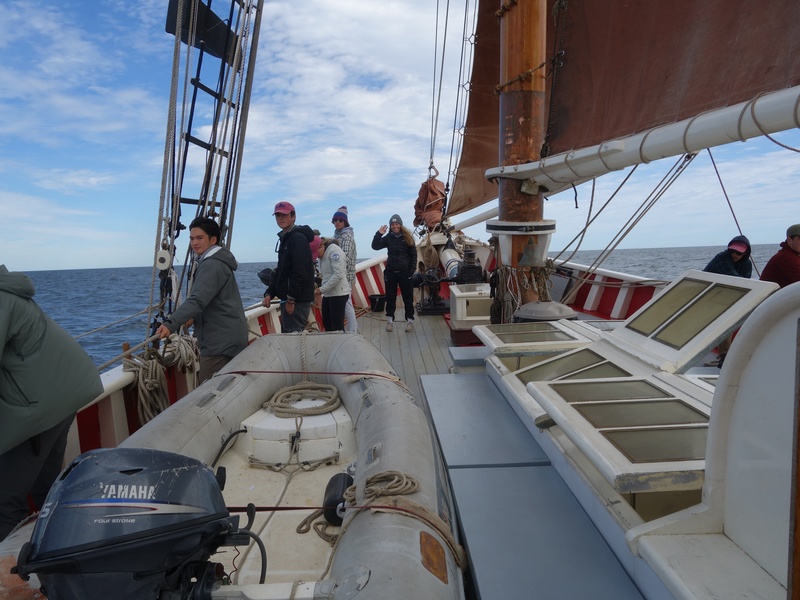 Proctor's Ocean Classroom program set sail from Boston Harbor just under a week ago, but to the 21 students aboard Roseway, the rhythms and routines of life at sea have already begun. Check out the first six days of Ship's Logs, video, and photos of the first week of Ocean Classroom 2018 below! 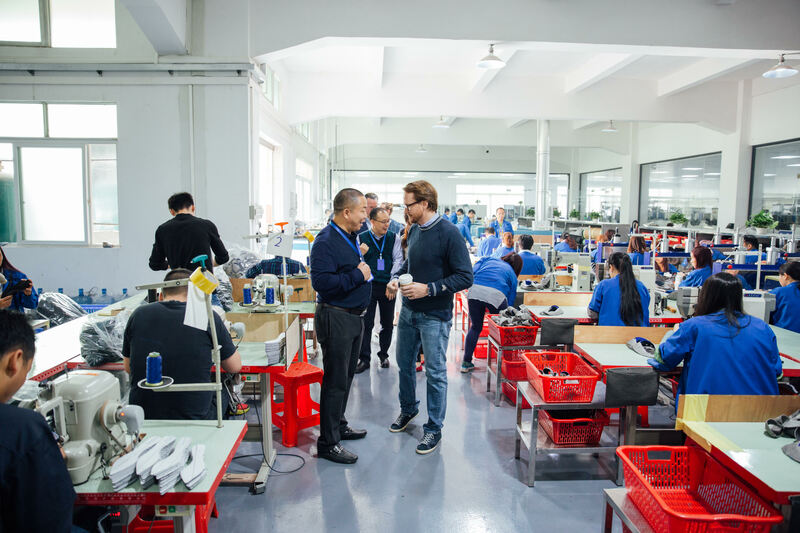 Whether it is the evolution of off-campus programs (read more about Proctor in China here) or the addition of new athletic programs like crew or track and field, Proctor’s institutional willingness to remain dynamic in how we pursue the constancy of our mission is notable. 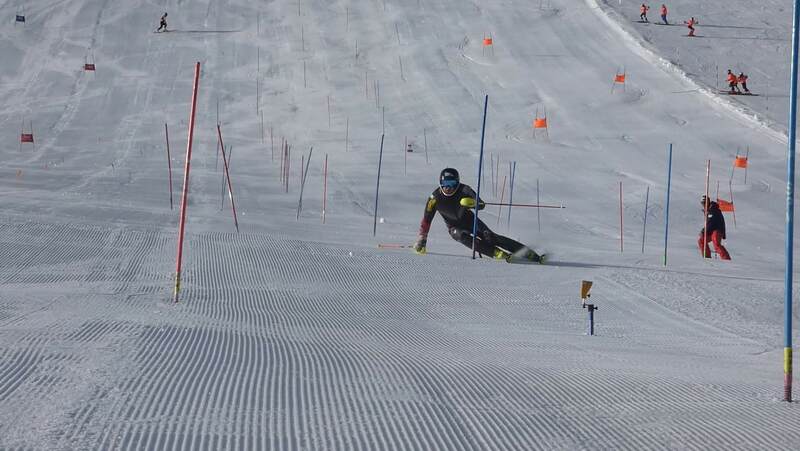 Within this context, Proctor is excited to share the further evolution of its alpine ski program through a new partnership with coaches Peter Anderson and Parker Spear to launch the Proctor Gap FIS Program for ten athletes this year. In our search for our own voice, we realize the power of giving a voice to others. As Indian author Arundhati Roy writes, “There is really no such thing as the ‘voiceless’. 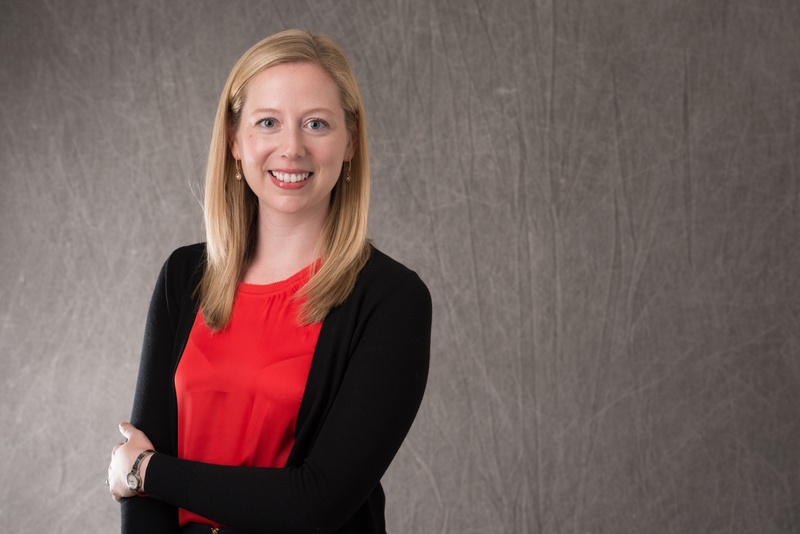 There are only the deliberately silenced, or the preferably unheard.” For Rebecca (Barban) Leavitt ‘02, her journey through Proctor, college, and law school to her current role as an immigration attorney in Boston has consistently seen her draw on her ability to use her voice to help those around her be heard. Proctor is not, and never will be, defined by a singular program. 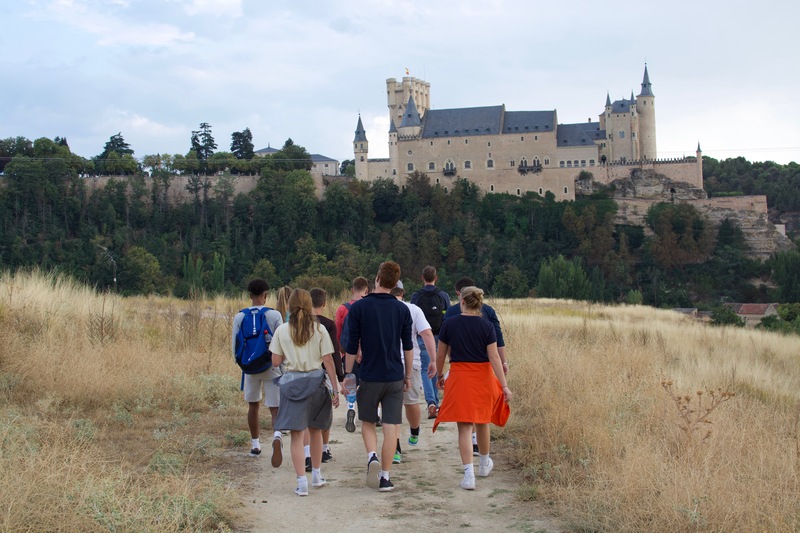 However, it is the individual programs that, together, create an unparalleled educational experience for our students. For the past 25 years, Ocean Classroom has quite simply changed the lives of well over 400 students, four of whom are now faculty members at Proctor. 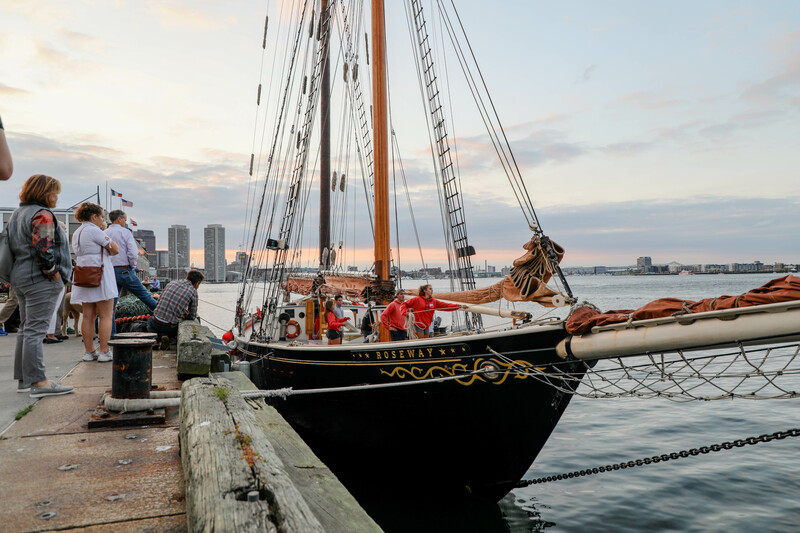 The launch of Ocean Classroom 2018 called for more than usual send-off with families on the pier as we celebrated the silver anniversary of the premier maritime education program for high school students in the country. Mike's Notes: Dialing it Back. Stepping Up. When Lindsey Allenby gathered the senior class after assembly on Monday for their class photo, I looked over. There was a lot laugher, some kidding around, and the mood was upbeat and positive. Lindsey snapped pictures, the group scattered, and it was only later, reflecting on the class, that I thought about the background hum of stress coursing through the group. When the college process peaks in the fall of senior year, the pressures can mount to unreasonable and unhealthy levels. Some of the greatest wisdom around us lies within the young minds of our students. Assembly provides a forum for these voices to peculate into the community, sometimes through random announcements or performances, other times through more formal deliveries we call Pete Talks. It feels like we have been opening school in gradual, gentle stages. There’s a methodology behind the soft start, but sometimes it feels a little like walking into a supermarket with only the dairy section open. Or the snacks aisle. Or maybe fruits and vegetables, but not the canned goods. Definitely not the ice cream, and definitely not the entire store. 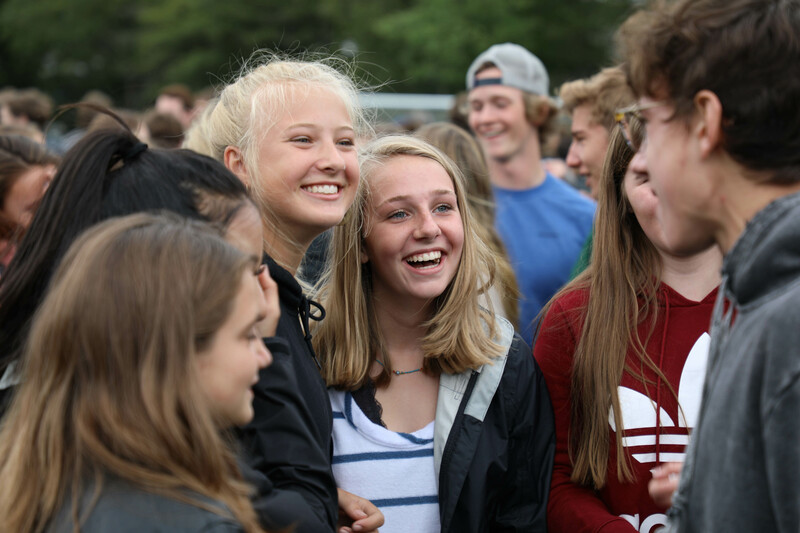 We gather and begin in fits and starts: Early Orientation, Regular Orientation, Sports Camp, Campus transition day...it feels like the school lights blink on over weeks! For 86% of my life, I’ve lived with the rhythm of an academic year. Every September since kindergarten, I’ve readied myself for the start of school and the anticipation of possibilities that lie ahead, as a student for the first seventeen years and as an educator for the last fourteen. There’s something energizing, addicting even, about the clean slate that awaits us during those first days of a new school year. Rarely in other fields are you annually presented with an opportunity to start over, to redefine yourself, to set forth clear goals with a ten month timeline to achieve them. The first day of classes for the 2018-2019 school year is officially in the books. 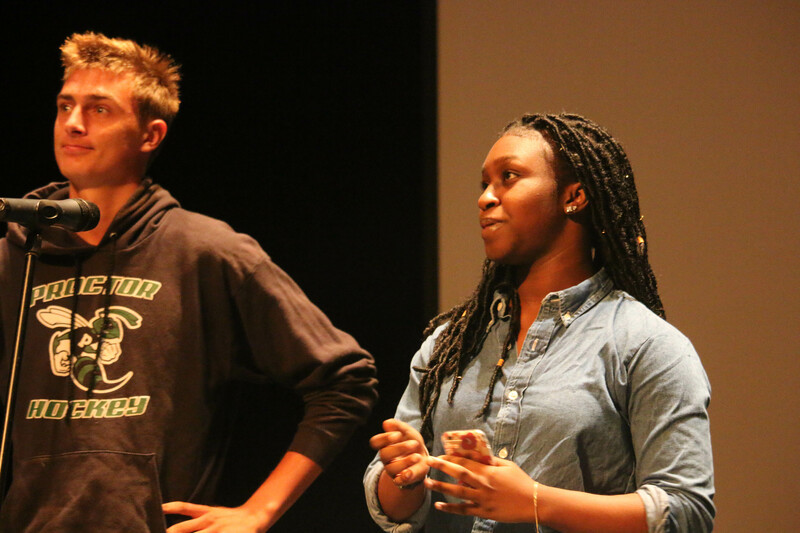 As we launch into the year ahead, we will consistently look to our elected school leaders, Lucas Bush '19 and Zina Asante '19, for wisdom, guidance, and representation of the student body. 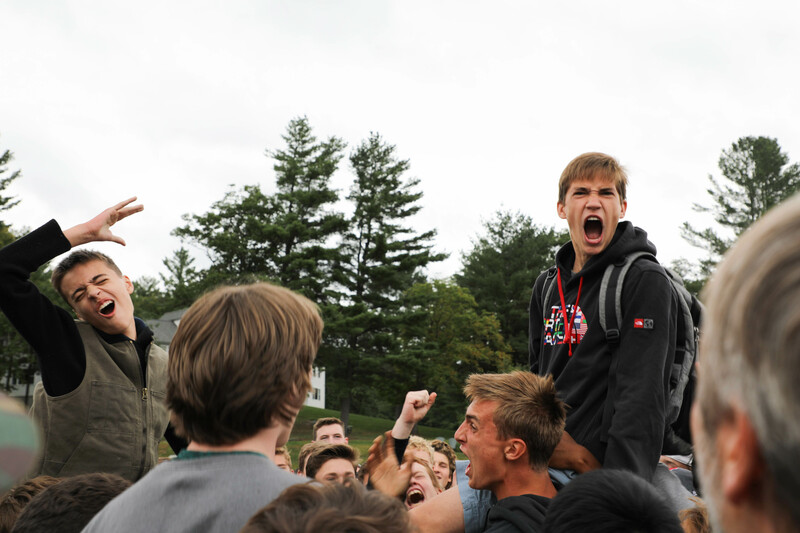 The role of School Leader carries with it significant responsibility: attending all faculty meetings, running student government meetings with class representatives, meeting weekly with the Head of School and Assistant Head of School to discuss initiatives and student life goals, as well as serving on the Appeals Committee when a student appeals their dismissal from Proctor. We caught up with Lucas and Zina to hear their thoughts on the year ahead in today's blog. Read more below! Wilderness Orientation 2018: They're Back! 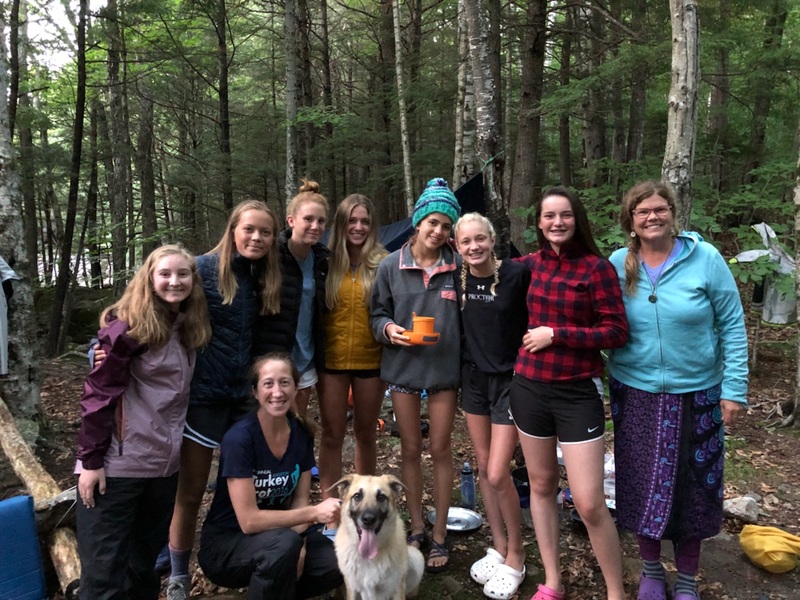 For the 48th consecutive year, Proctor Academy has kicked off the school year with a five day hiking and backpacking trip to the White Mountains of New Hampshire. 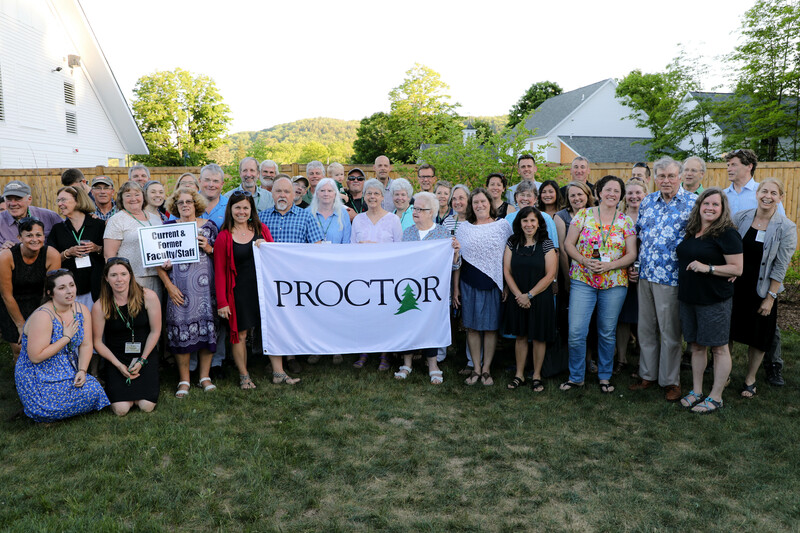 As is the theme of so much we do at Proctor, small groups work best as eight students and two faculty allow for relationships to develop that are simply not possible in a larger setting. 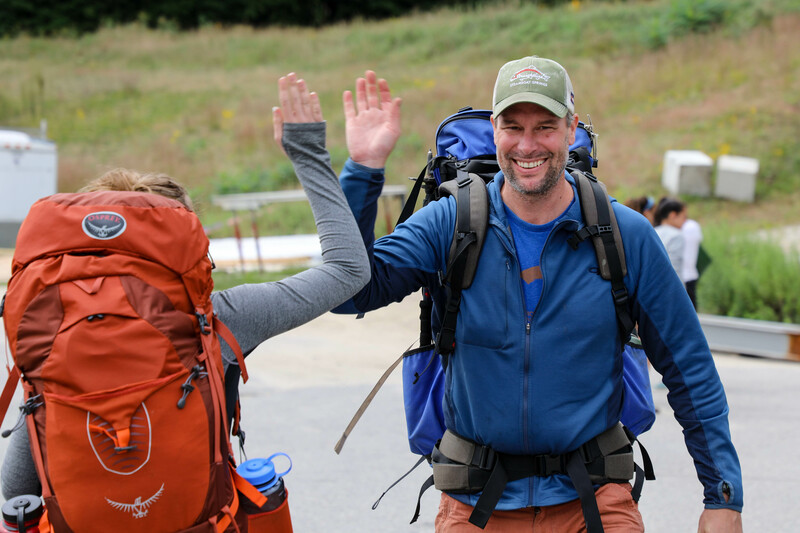 Tech free, shower free, and with no shortage of challenges, Wilderness Orientation pushes even the most confident of new student outside his or her comfort zone. 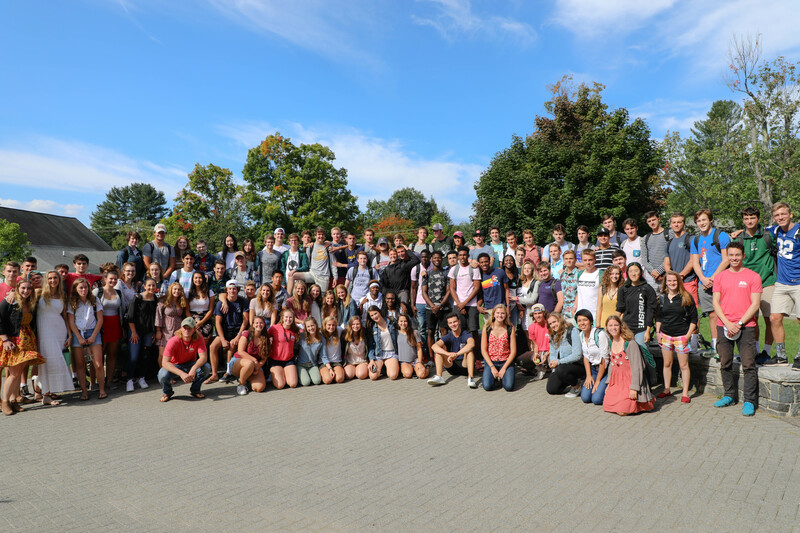 Each fall, as the majority of new students take part in Wilderness Orientation (read more here), Proctor's Athletic Department hosts Sports Camp for seven fall sports: football, field hockey, girls' and boys' soccer, cross country, crew, and mountain biking. 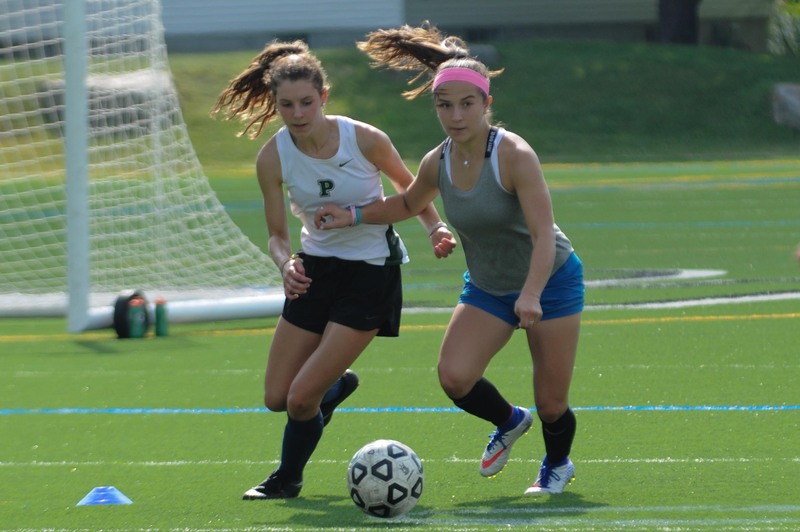 While each team approaches the preseason camp slightly differently, the benefits for all athletes and coaches are universal as skill development, fitness, and shared experiences establish a foundation for the season ahead. Thursday evening I hit the trail to drop in on a Wilderness Orientation group. It was getting dark, but I knew where the group had camped along the Pond Brook Trail in the Sandwich Wilderness. I knew the swimming holes, knew the rerouted section, knew the waterfalls. I jogged up through a tree farm a little after 6:30 pm. The sun had dropped down behind the Sandwich Range, and where the Guinea Pond trail angled left, I hooked a right on the Bennett Street trail to run along Pond Brook in the softening light. The dog stitched back and forth through the pines, and after a mile or two I caught the sound of laughter against the brook. It was Patty Pond and Lori Patriacca’s ‘01 group. It is a refrain from a song written by my brother, Trent Wagler, and performed by his band The Steel Wheels. The song, based on stories from our grandfather, presents the challenges faced by a young person growing up in the Amish church. The Amish, famous for their buggies, bonnets, baking and furniture are a sect of anabaptists who broke off from the Mennonites in the late 17th century. Today started with a teary goodbye for my daughter’s first day of kindergarten and ended with a hug and pride-filled smile of a little five year old who knew she had encountered a really hard thing, and conquered it. As our new students said goodbye to parents yesterday afternoon and embarked on Wilderness Orientation (a five-day, tech free, small group hiking and camping adventure in the White Mountains), there were plenty of looks of uncertainty on the faces of both parents and students; looks not too dissimilar from the tear stained gaze my five year old had on her face this morning. 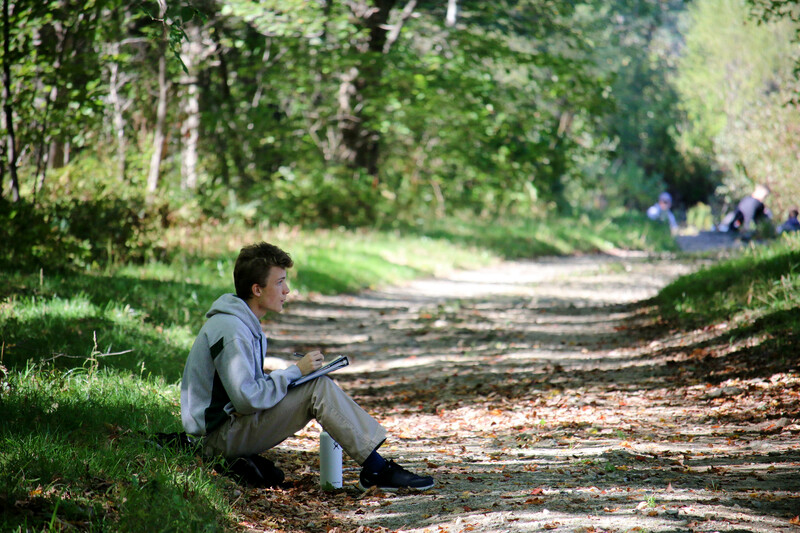 Entrusting your child to a school, especially a boarding school whose first responsibility with your most precious possession is a five day camping trip, is an incredibly hard thing. And our message to all those new parents at home right now is we are proud of you!